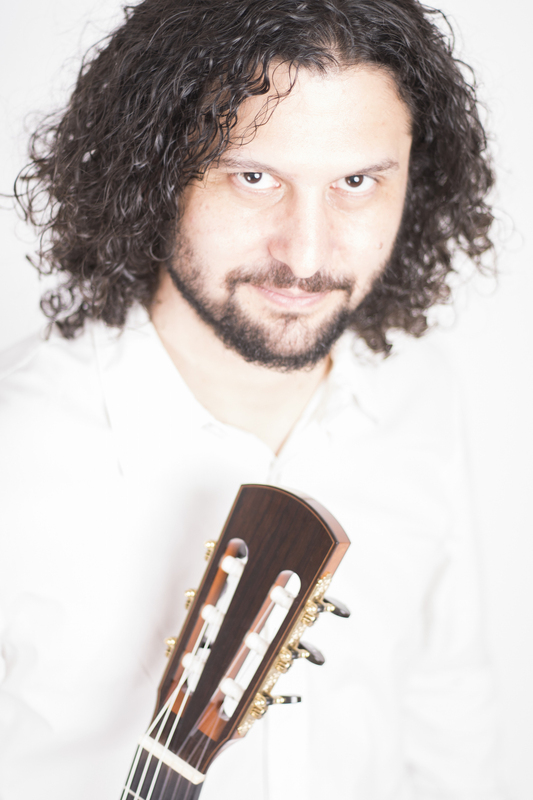 Aaron Larget-Caplan is a classical & world music guitarist, a virtuoso musical explorer whose playing has taken him across the United States and repeatedly to Russia and Europe. Aaron has shared classical music listening techniques through education and entertaining young people’s concerts with stories, history, imagination and his guitar for 20 years. He has performed his Spirit of Spain in over 100 schools in New England, Colorado, California and Oregon. A soloist and regular collaborator, Aaron is the founder of the Spanish classics music and flamenco dance group ¡Con Fuego! (With Fire!). They perform formal concerts and in schools throughout New England, including the International Festival of Arts and Ideas in New Haven, CT, as well as concerts in New Mexico and Colorado. A deft speaker with a Bernstein-esq ease in his ability to connect with audiences of all backgrounds, Aaron’s music, stories, sense of and humor will keep students at the edge of their seats and have them leave thinking of history, culture and life with new ears. Since graduating from the New England Conservatory and being asked to join Young Audiences of Massachusetts as the youngest solo roster artist with organization, Aaron has set aside time each season to share classical music, the guitar and many of their amazing secrets with listeners of all ages.